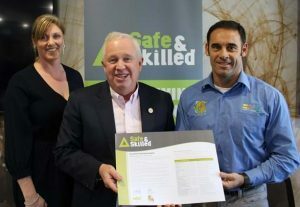 Businesses of all sizes across Australia’s forest industries have joined together this week in a united approach to lift safety standards across the board. “A common approach to training will recognise the importance of having the right skills to do the job across the industry and mobilise our industry’s workforce,” Mr McCormack concluded. AFCA Chairman Mr Adan Taylor said the lifesaving commitments draw the attention of workers to critical risks in the industry and ensure that baseline safety rules are common everywhere. Visit the Safe & Skilled commitments here.